This is also the first film that Dujardin decided to do after The Artist, so it must be pretty damn good. And what's really cool is that the press release indicates La French was shot on 35mm and will be screened in select venues in 35mm along with a collection of vintage 35mm classic crime trailers curated by Cedric Jimenez. And just for fun, a limited edition VHS release for the film will be available along with the traditional DVD, Blu-Ray and digital formats. If eight minutes was enough to spark a bidding war, we can't wait to see what this film offers. The films hits French theaters in December, but there's no US release date. 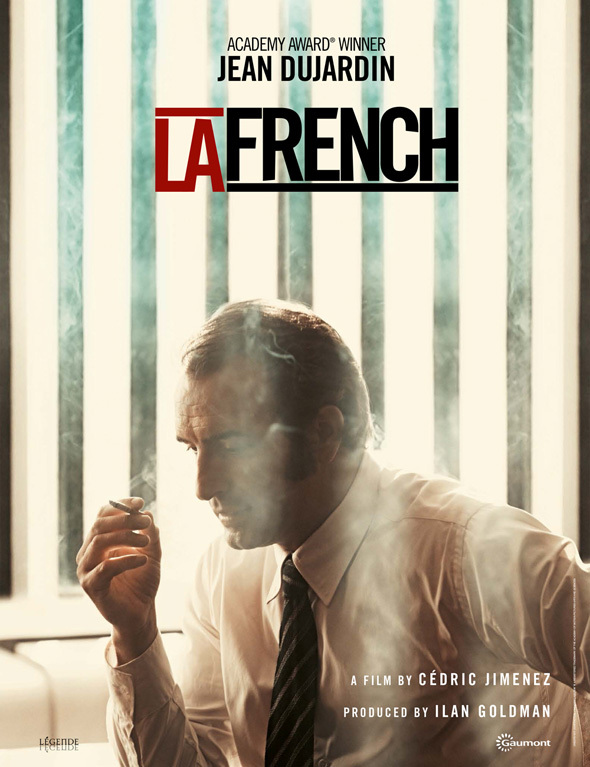 Without passing any judgement on the actual film, can I just say that a film called "La French" with Jean Dujardin at Cannes sounds like the kind of parody you'd see in a South Park episode about the Cannes filmfestival. 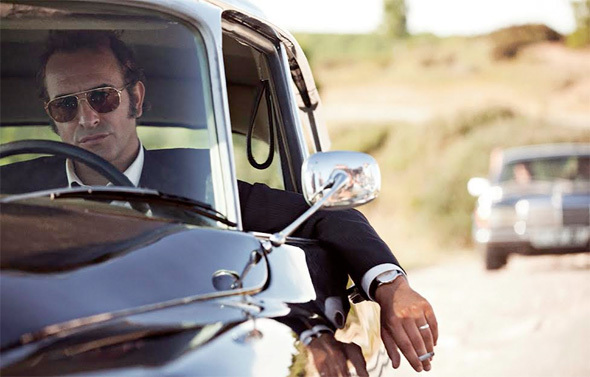 Dujardin could give Hamm a run for his money in the "man unstuck from time" position.